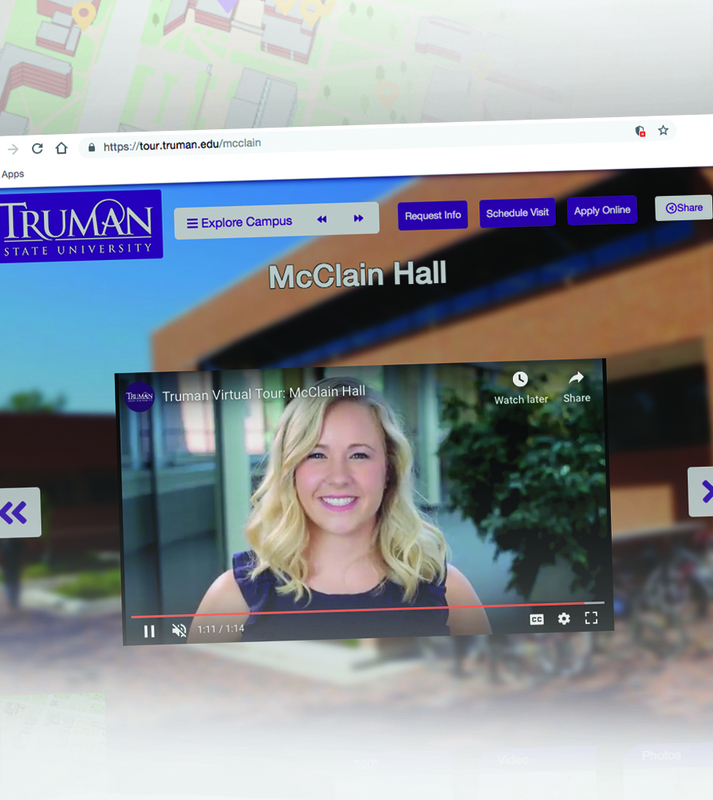 Alumni and friends interested in revisiting campus, but who are unable to make it back to Kirksville, can now check out Truman’s updated virtual tour. A series of videos by current students, faculty and staff lead the visitor through a guided tour of the University, showcasing different elements of the campus and community on each stop. 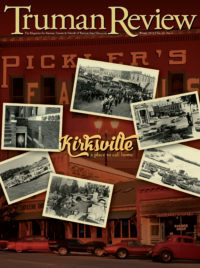 The narrations are coupled with photographs showing activities that students engage in at each location, as well as 360-degree photographs of the spaces. In addition to the tour, visitors can find buttons to share tour stops on social media, and prospective students can request further information about the University. 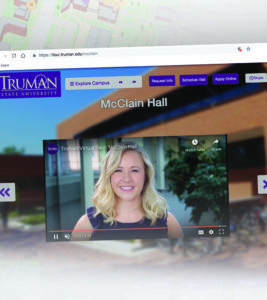 The updated tour was developed entirely in-house, which saves the University money and creates content that is more unique and relevant to Truman, as opposed to other schools that may outsource their work.